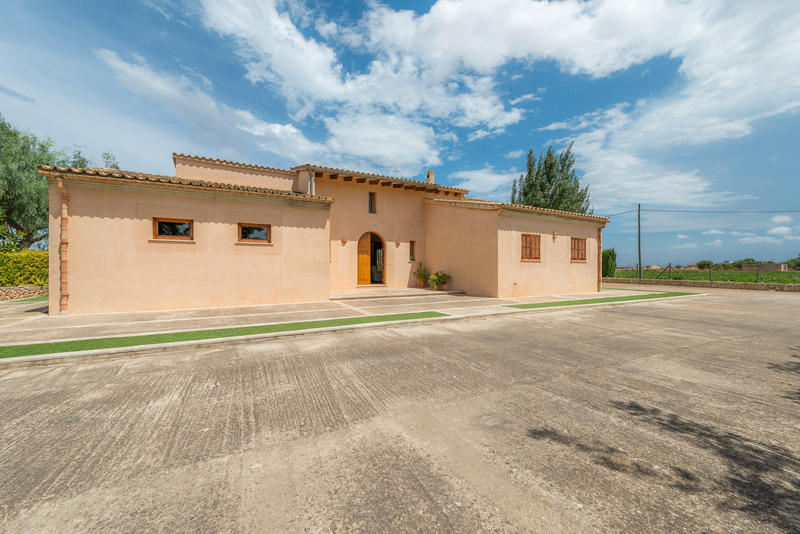 Bright and spacious villa located in the countryside of Sa Pobla. It can accommodate 6 people. 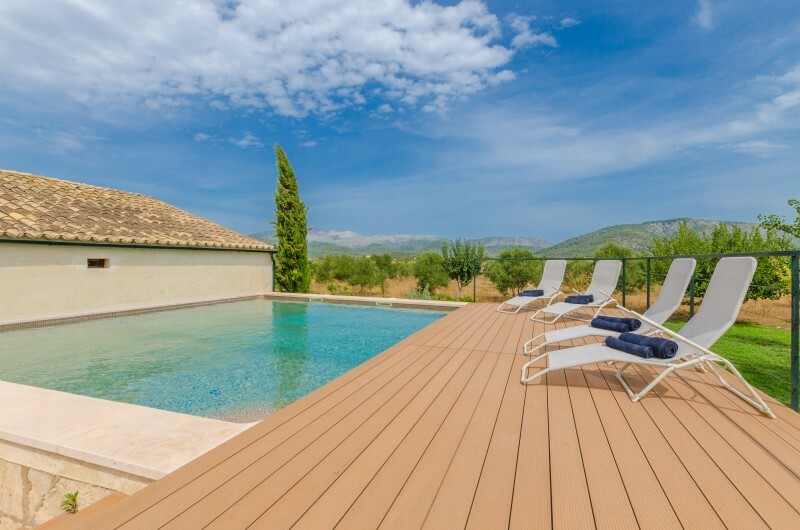 The exterior area of this property is fantastic. 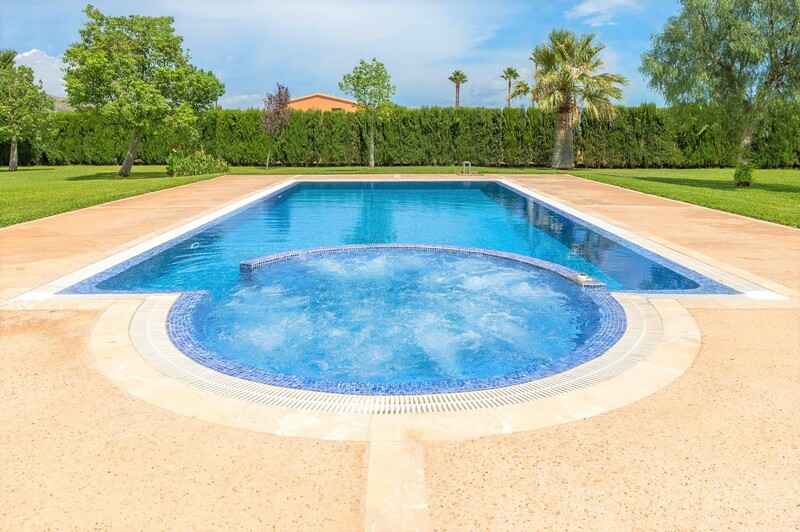 There, you will find 1 chlorine 10x5m swimming pool with a depth ranging from 0.60m to 1.9m. 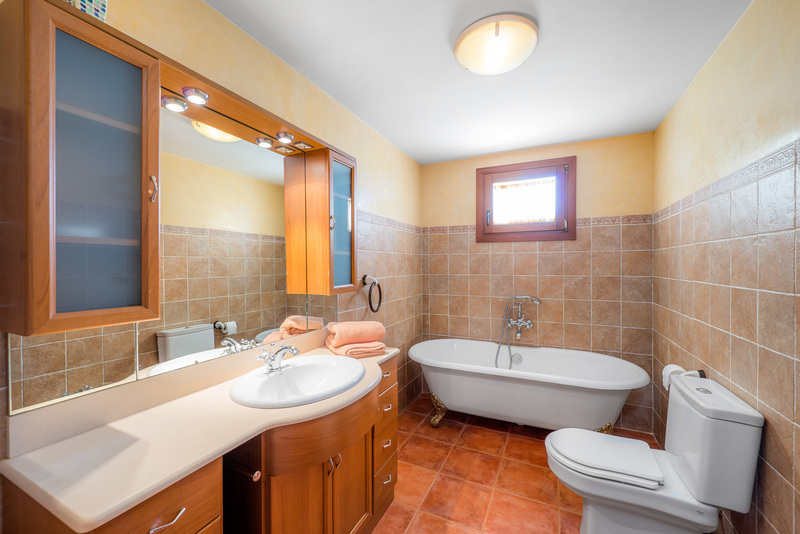 It has an integrated cold water jacuzzi, perfect for your moments of relaxation. 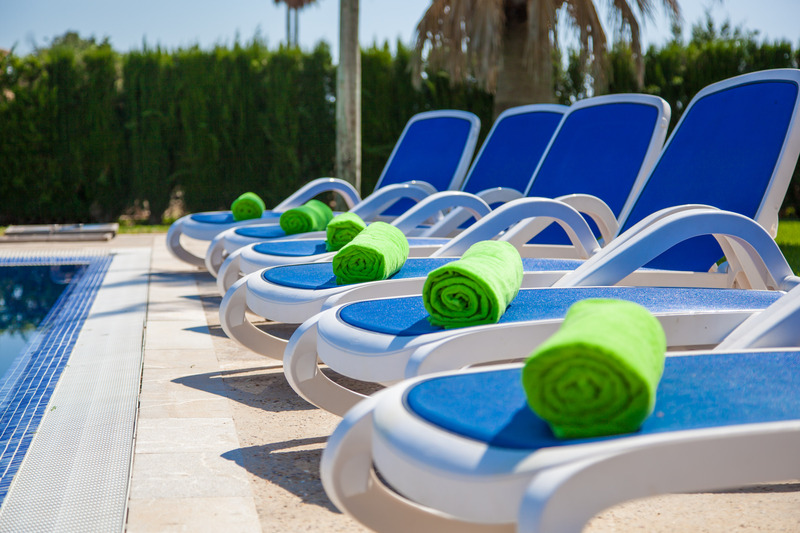 The surrounding area has 1 outdoor shower, 6 sunbeds and 1 umbrella, where you can take shelter during the hottest days, at your disposal. 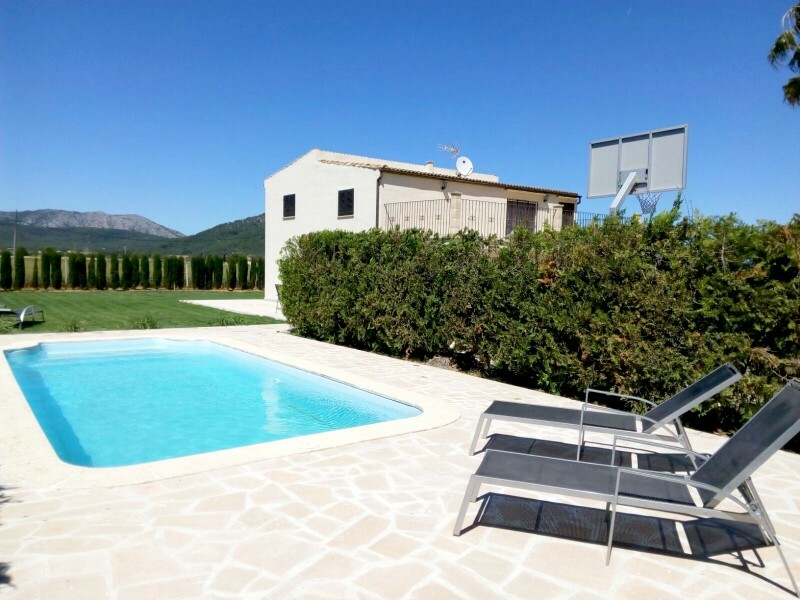 In this villa there is a 125m2 paved surface area of and a 1700m2 lawn one, both private. 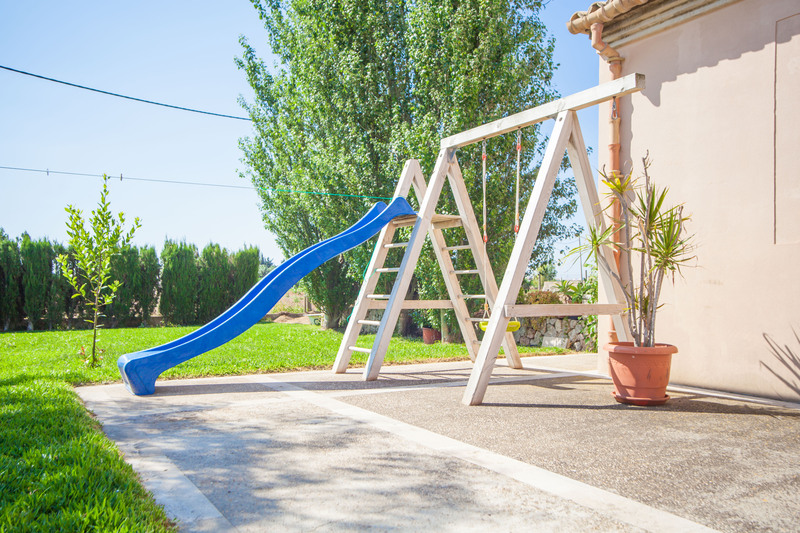 The lawn area is well maintained, with great trees and you will find 1 swing and 1 slide so the little ones can fully enjoy the outdoors. 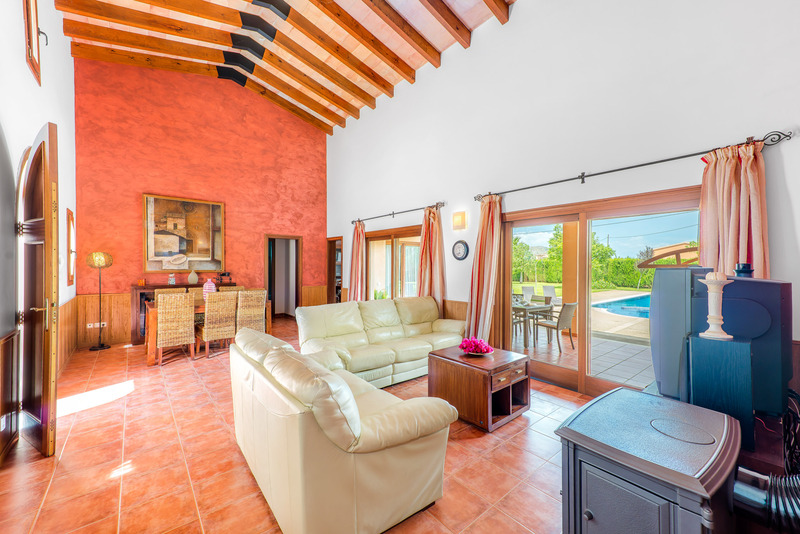 Right in front of the pool there is a 21m2fantastic furnished porch where you can enjoy endless dinners and cookouts. 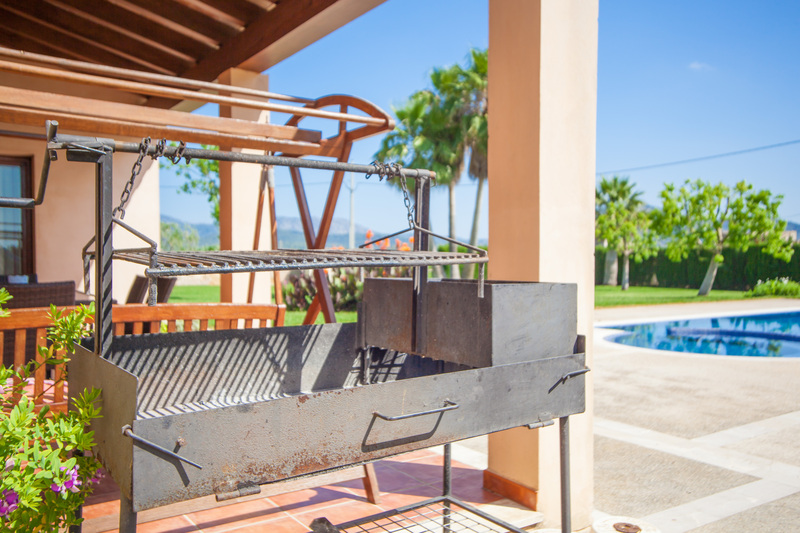 In the property, you have access to 1 mobile barbecue, where you can enjoy cooking in the privileged outdoors, you can park 2 vehicles, and privacy is total. 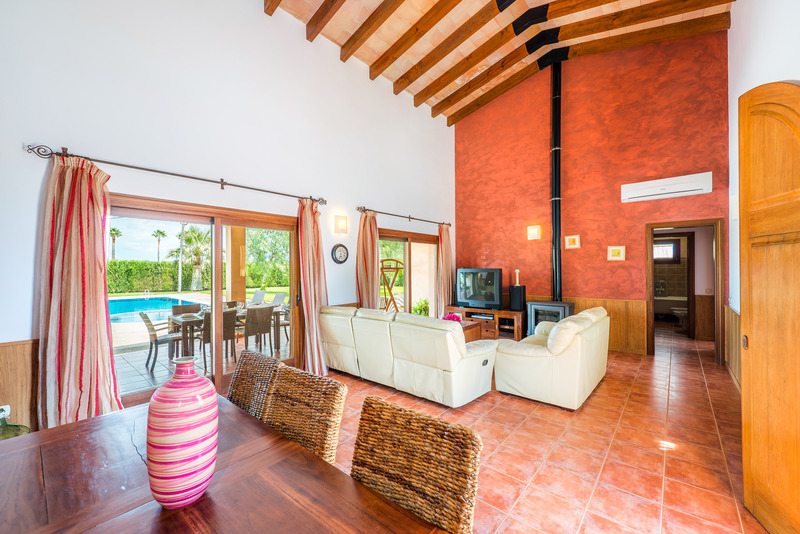 Upon entering the house you will find the great air conditioned living room - dining room area of the house. 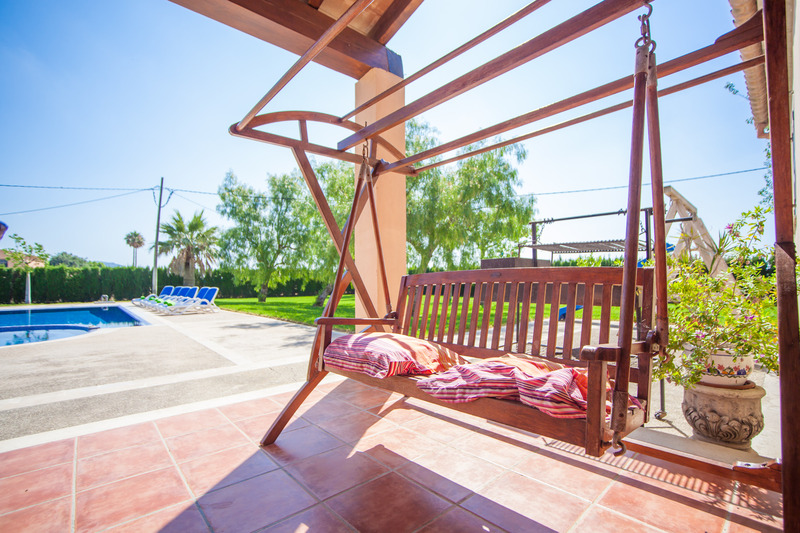 In this area you can relax enjoying the garden and swimming pool views, watching satellite TV or simply reading a good book. 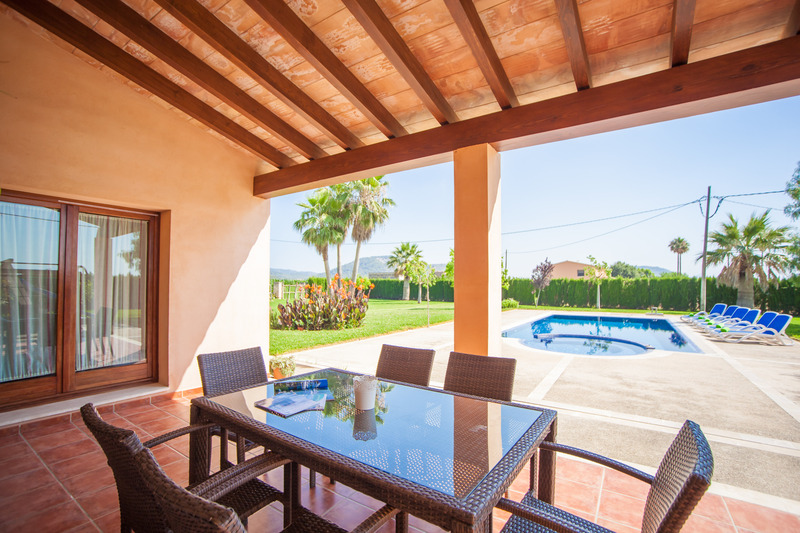 The furnished dining area offers the ideal place to enjoy great evenings with family and friends. The kitchen is located in front of the dining room and, just like the living room area, it has direct access to the furnished porch. 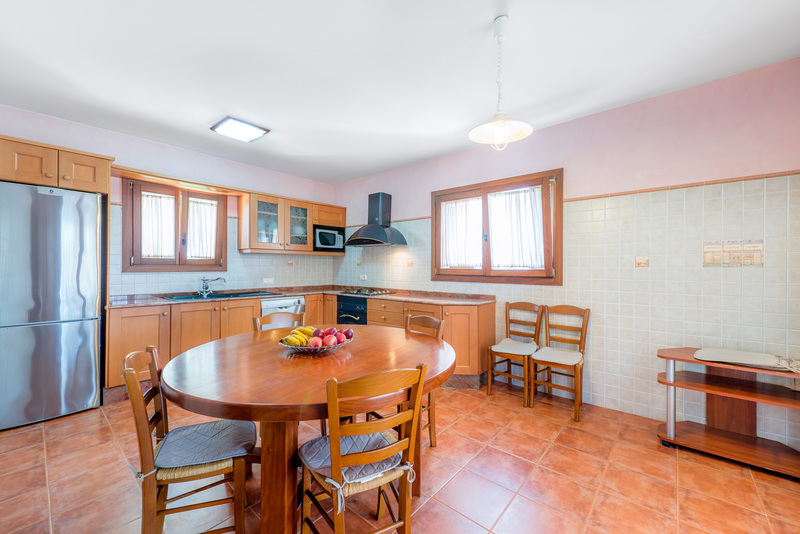 In the kitchen you have everything you need to cook up a feast, including gas stove. 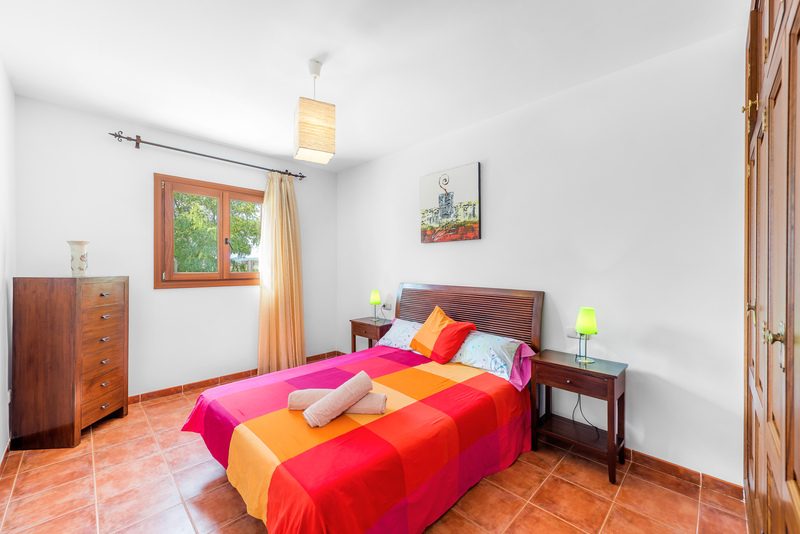 The laundry area is independent and it features 1 washing machine, 1 iron and 1 ironing board. 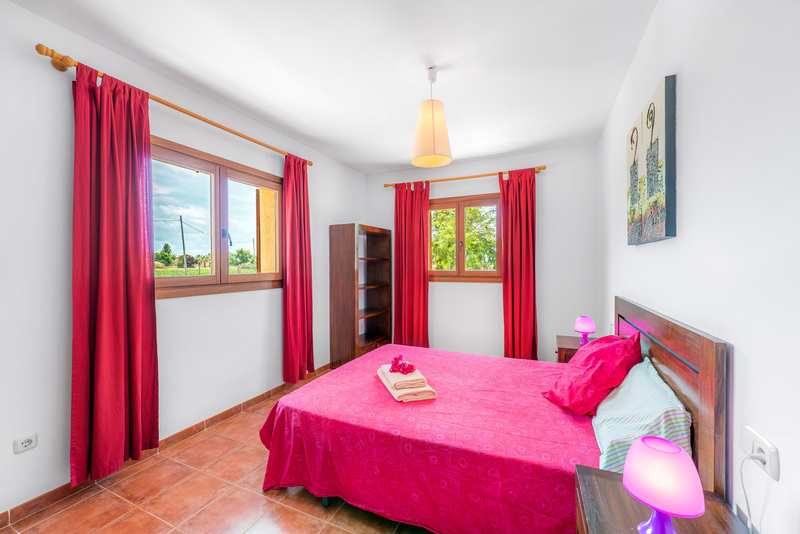 In the house, there are a total of 3 bedrooms, all of them with 1 double bed, air conditioning and wardrobes. 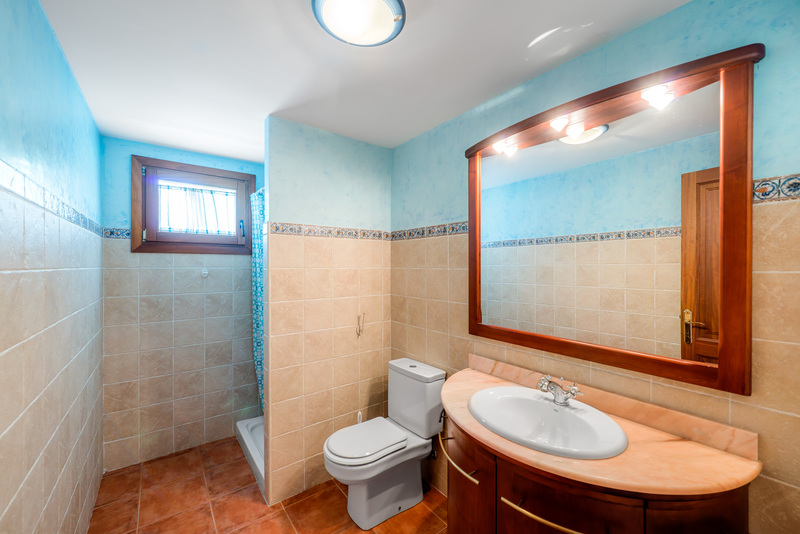 There are a total of 2 bathrooms in this property, both of them full, 1 with shower and the other with a bathtub. 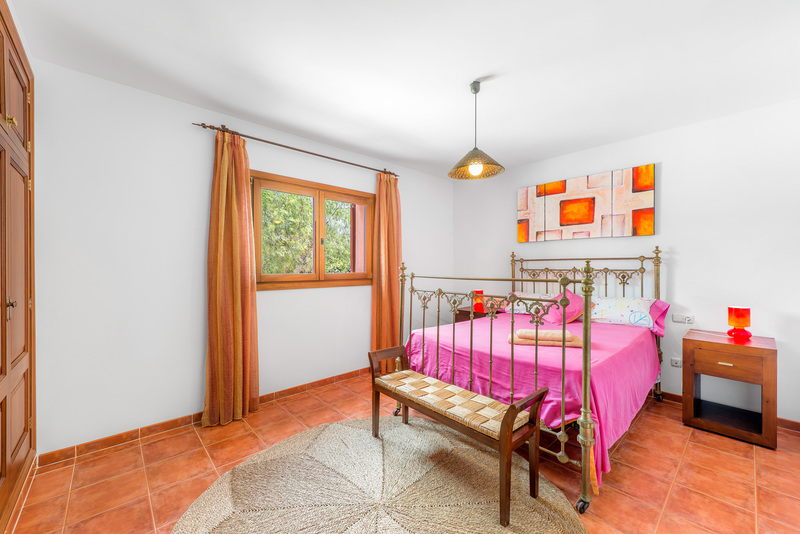 This property offers you access to 2 radiators for colder months and air conditioning in the bedrooms and the living room. 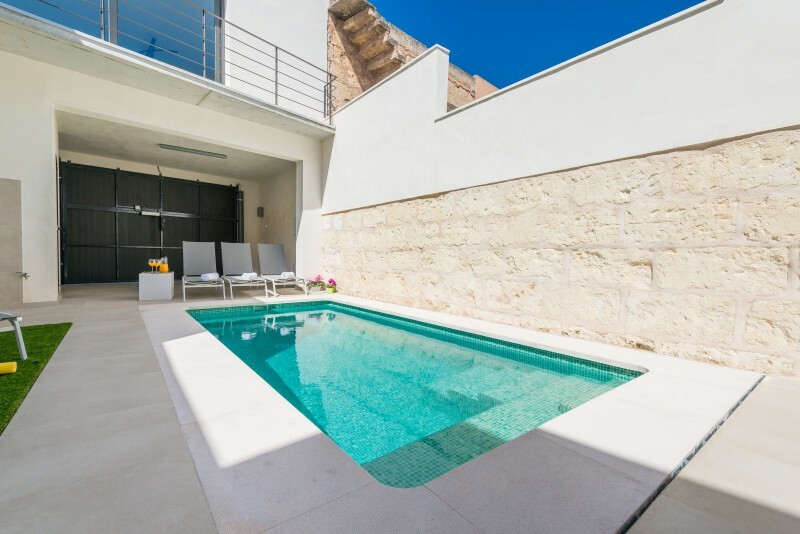 This villa is located in the town of Sa Pobla. 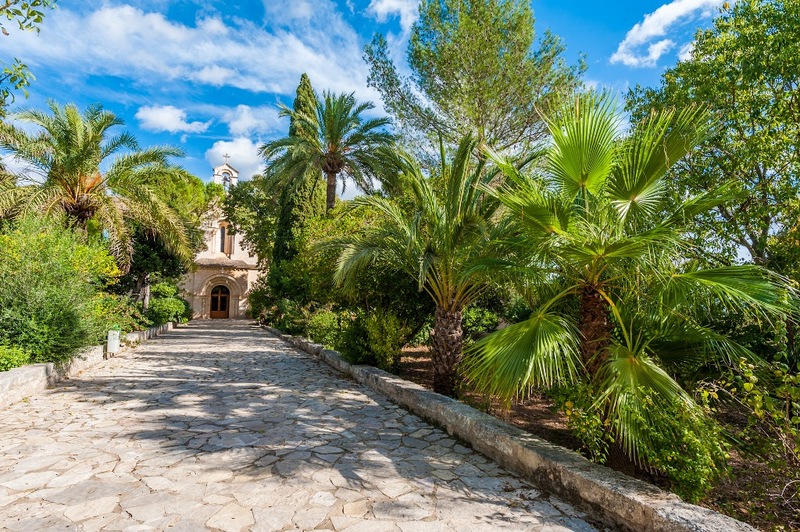 There, you will find everything you might need during your stay as this is one of the most important towns of the island. It is traditionally agricultural, so you will have access to a variety of fresh fruits and vegetables sold by the farmers who grow them. Sunday is market day, so you will find all kinds of products in the two main squares of the town. 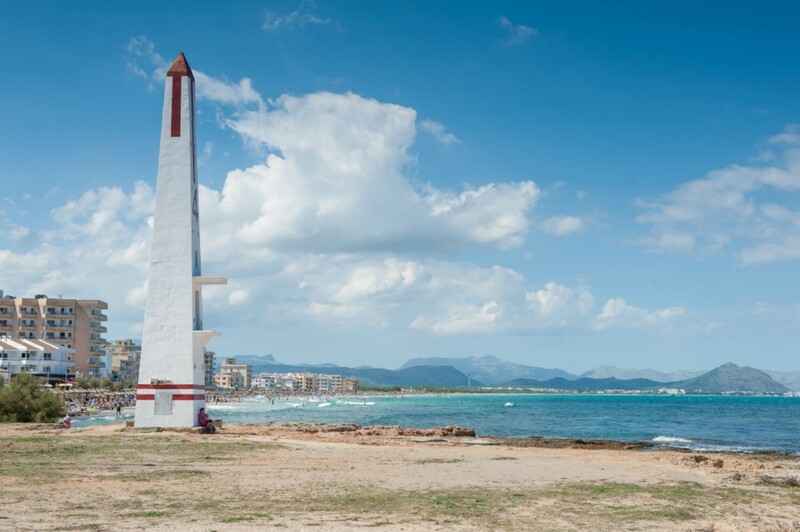 13km away is the Port of Alcudia, the area of Platges de Muro and Capellans, where there are a variety of fine white sand beaches. 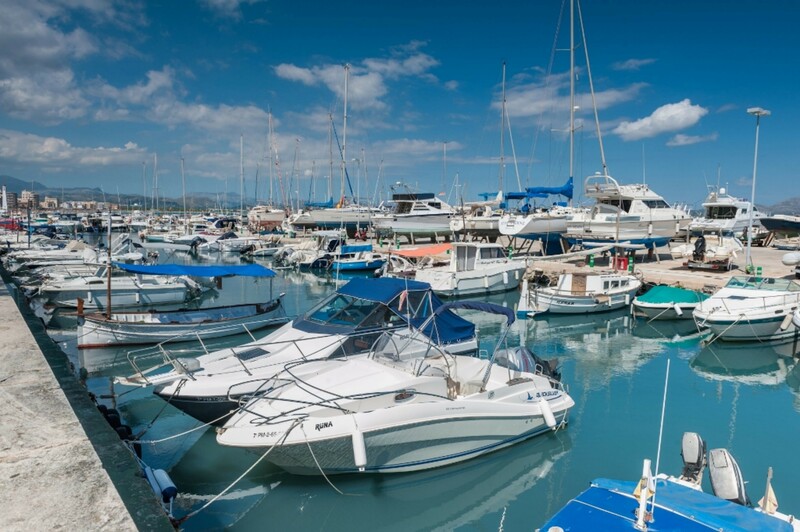 The area of Can Picafort has a tourist atmosphere where you will enjoy all kinds of entertainment both night and day. 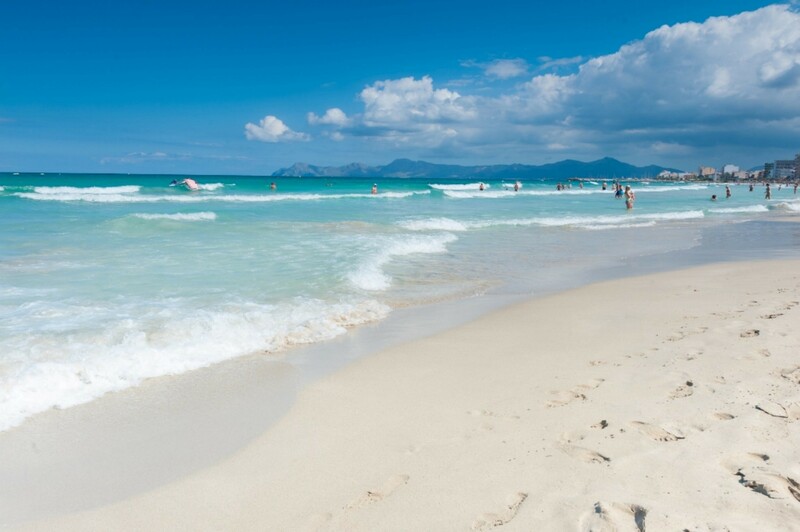 If you want to practice water sports, you have access to windsurfing, kite surfing, jet skis, and many other things. Ein wunderbar ruhiger Ort etwas ausserhalb vom Dorf umgeben von Feldern. Auto ist von grossem Vorteil. Von dort aus lassen sich in alle Richtungen der insel super Tagesausflüge machen. Jederzeit gerne wieder. Haben es sehr genossen Wir waren sehr zufrieden mit unserer Finca und haben uns wie zuhause gefühlt. Garten und Pool sind toll. Die Besitzerin vom Haus hat uns herzlich empfangen und auf dem Küchentisch standen obst und Kekse bereit Wir würden jederzeit wiederkommen und diese friedliche ruhige finca beziehen. Umgeben von kartoffelfeldern und ausserhalb des dorfes eine toller ort zum erholen. Vielen herzlichen Dank!!! Auto braucht es unbedingt.